Asian Ultimate Life: The Podcast, #2. This week I chatted with Katherine Tse and Austin Bartenstein from Taiwan about Turn Up Taiwan, Zone Cup, and the lovely voice of Taylor Smith. 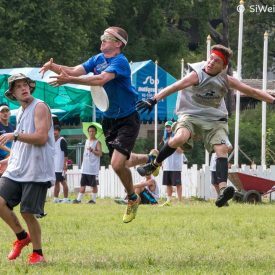 Next week I’ll talk with Ben Ho about coaching Ultimate, Singapore Open… and much more. Follow Asian Ultimate Life’s happenings on twitter @asianultyblog and our facebook page!